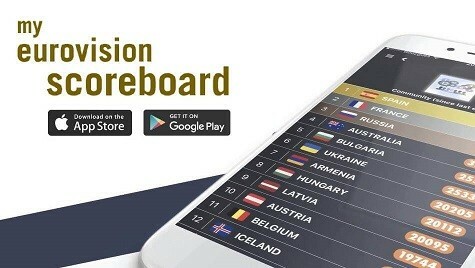 Every day between now and the grand final in May, the team from wiwibloggs will be rounding up the latest titbits from the world of Eurovision 2019. We’ve trawled through Instagram, Twitter and elsewhere so that y’all don’t have to. This is the Daily Digest for Friday 12 April. You can’t always see the stars, just stay true to who you are, stop apologizing to me … ?? Pesem ostaja v SLOVENŠ?INI, to je le kratek odsek za tiste, ki ne razumejo našega jezika. Sporo?ilo je namre? zelo pomemben del skladbe in si želiva, da bi ga vsi razumeli. ?? The song will stay in SLOVENE, this is just a short part for those who don’t speak our language. The message is a very important part of the song and we wish for everyone to be able to understand it. 12 points from Montenegro go to Montenegro! DEMAIN on se retrouve pour le NRJ MUSIC TOUR de Nantes omg ?? Jvais être sur une scène avec des gens HUGE ça va être fou, hâte de vous voir mes vies ?????? Additional contributions from Robyn and Jonathan. What do you think of “Sebi” in English? Would you rather see KEiiNO and Monique or Bilal and Bebe? Let us know in the comments. When is Jurij gonna film a music video for “Run with the Lions”? Maybe after Eurovision like Emmelie de Forest and Jamala? Where can we watch the full stream of Eliot and Miki’s collab video? There is a youtube video with the entire chat. You can only search Eliot Miki in Google. Its cool. Why is the Eurovision albums never released on Spotify? I thought Eurovision was modern and up wit the times, not clanging on to the past. Streaming is a thing now..
What’s the difference if all the individual songs are in ? Because it’s nice to have an album with all the songs. for those who want it. Like Melodifestivalen. Yes you can get all the songs individually but an aIbum is better. I mean if they can make CD, then getting them on streaming services shouldn’t be difficult. But then again it’s ESC, They have yet to embrace Blu-Ray discs, so why expect streaming..
Bella Paige is on the jury and she is of Macedonian descent so that could explain why. I actually really like Sebi in English… oops? Thank god Slovenia sings in Slovenian. The song would lose all its magic if it was sung in English, even if the lyrics are almost the same. Watch more videos of Katerine. Don’t just rely on that Eurovision in Concert performance. I would like the live performances in both SFs and the Grand Final to be subtitled in the language of the channel broadcasting . I mean, adds subtitles in a way that they don’t affect the visuals. This way, casual viewers would be able to understand songs in foreing languages and, therefore, be more willing to vote for it. This will encourage more countries to send more songs in their national language. I love English and I mostly listened to song in English but it would add a bit more diversity. I would stop watching the dutch broadcast and switch to the youtube livestream if that happened. I don’t want to read like 34 times the sentence ” ja, je gaat het leuk vinden” under the belarusian performance xD Entries with cheesy lyrics will be very exposed if you read them along the performance. and you can always do it like italy did last year with using the lyrics into the performance, or you just sing one verse/ sentence in english to bring over the message. I do not think it is a good idea because how can you find, for example, someone in Latvia to accurately translate the Slovene lyrics of Sebi into Latvian? It would end up having very bad translations (or even jokes) for originally good songs. Translating through English would also change the original meanings. Everyone knows how google translate does its job. OK “Home”‘s remix made me believe in miracles, now I’m waiting for the EDM version of Latvia. Paenda: Goosebumps! Dark Horse Alert. When Zala sings in english she sounds like Lorde. They better keep it original. There seems to be less “Come va” in the song now. That sounds kinda abrupt to me because I’ve listened to the original version for hundreds of times. I guess I need some time to adjust to this. But overall, the song still sounds good. Thank God!! It’s my winner and I was so afraid that the shorter version might ruin it. The intro is slightly shortened and there is at least one missing “sai già come vax3”. I”d love to hear a full English version of ‘Sebi’! Pænda’ acoustic version is fantastic! Goosebumps! Should be worth an extra arcticle, not just a daily digest mentioning. Maybe Padraig wanted to prevent William from getting his back pain again. So let’s hide it. WOW!What a voice Katerine-i am sure she will slay in Tel Aviv and Madrid!Such a unique voice!Top 5! I find the guy from D mol so so cute, for me he saves the group but he is not fair play at all…..it’s sad. For sure Katerina has to work a lot even if she was sick in Amsterdam. Keino Miki Bilal Eliot keep slaying! leonora is lookin like zara larsson there…. a glo up ! 3. Duncan, I want a piece of that cake. 5. Rizo, is that San Marino or is it just me? I told you Katerine can sing. I remember last year and the year before that and the year before that when almost all the greeks said their artist could “SLAY” and win it so this year is not an exeption. Its not the reality with them. In that case Greece should have won 15 years in a row now. It could also go the way of Eleni Foureira, people were doubting her vocals before the first rehearsal, so we’ll have to wait and see. We never said that demy and Argo would slay I mean helloooo! Last year was different Greece had a great song but a bad staging we will see!